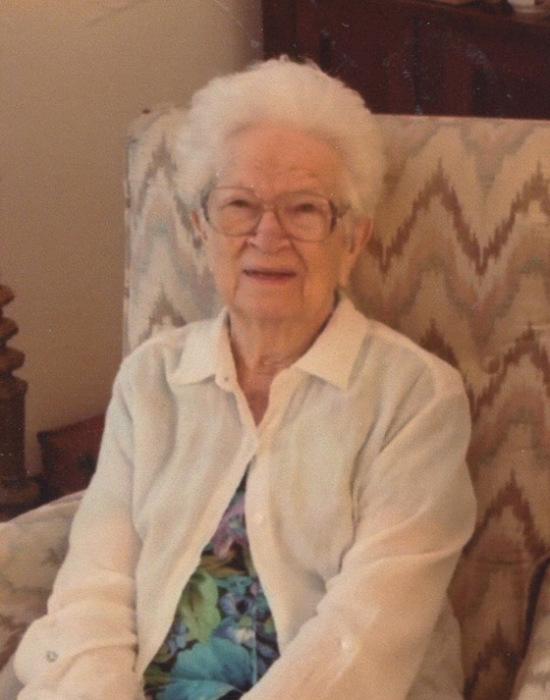 Helen Anderson 92, of Calhoun, Kentucky went home to be with the Lord on Saturday, February 2, 2019 at a daughter’s home in Louisville. Fairy Helen Hill was born October 15, 1926 in Sacramento, Kentucky to the late Roy Stokes and Elton Beasley Hill. Helen attended elementary and high school in Sacramento, graduating in 1944 as Salutatorian of her class. That same year she met and married David Henry Anderson. Their marriage lasted for 64 years until Henry’s death January 2, 2009. They had five children and she greatly loved them all. Helen had a long and varied work career, beginning at the early age of 14 when she got a job at the bank in Sacramento, hand writing entries into the bank ledgers. She retired from her last job as secretary for the McLean County Chamber of Commerce when she was 84 years old. In between Helen worked as a retail clerk, waitress and office worker. 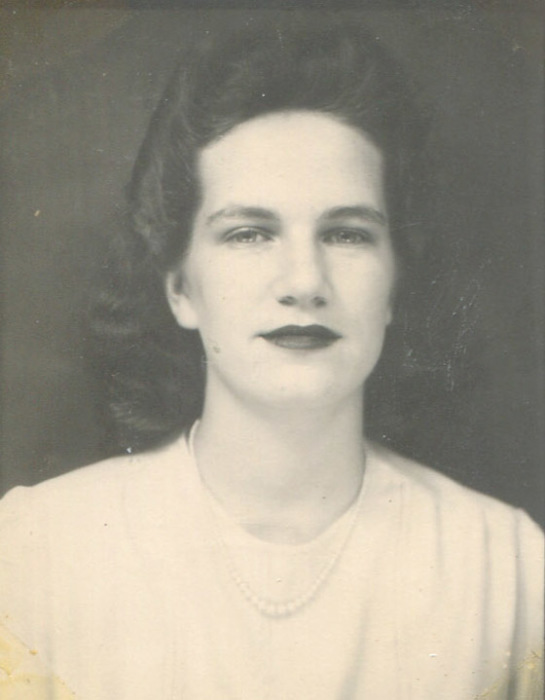 She was a secretary and church hostess for Frayser Baptist Church in Memphis, Tennessee. She and her husband, Henry owned and operated Anderson’s Restaurant in Livermore and Anderson’s Tastee Freeze in Calhoun. Helen spent 19 years at Green Valley Farm Supply and counted them as the best years of her working career. Over the years, the owners and fellow employees at Green Valley became like a second family to Helen. She was a member of God’s Church Worldwide and had many interests outside of work. Helen was a charter member of the McLean County Historical and Genealogy Museum and served several years as President of their board. She was a wonderful cook and canned multitudes of vegetable from the gardens that her husband raised. Helen loved collecting antique dishes and things that were old. She was an avid reader, crossword puzzler and Scrabble player extraordinaire. Helen absolutely loved flowers and she collected butterflies and roosters. In addition to her parents and husband, Helen was preceded in death by a daughter, Shirley Jean Anderson; a grandson, Jeremy Hayes; by a great granddaughter, Jessica Decker, and by her five siblings. Survivors include two daughters, Melinda Hayes (Bart) of Louisville and Mae Wood of Calhoun; two sons, David Anderson (Connie) of Collierville, Tennessee and Howard Anderson of Calhoun; eight grandchildren, James Hayes (Barbara), Elizabeth Anderson, Stephen Anderson, David Decker (Brittany), Marissa Decker, Tyler Decker, William Anderson (Dana), and Devin Cook (Josh); and 15 great grandchildren. Funeral services will be held at 1:00 P.M. Wednesday at Muster Funeral Homes, Calhoun Chapel. Burial will be in the Calhoun Cemetery in McLean County. Friends may visit with Helen’s family from 10:00 A.M. until 1:00 P.M. Wednesday at Musters in Calhoun. The Helen Anderson family requests that expressions of sympathy take the form of donations to McLean County History and Genealogy Museum; P.O. Box 34; Calhoun, Kentucky 42327. Memorial contribution envelopes will be available at Musters in Calhoun. Share your memories and photos of Helen at musterfuneralhomes.com.